Who says eating healthy has to be difficult? 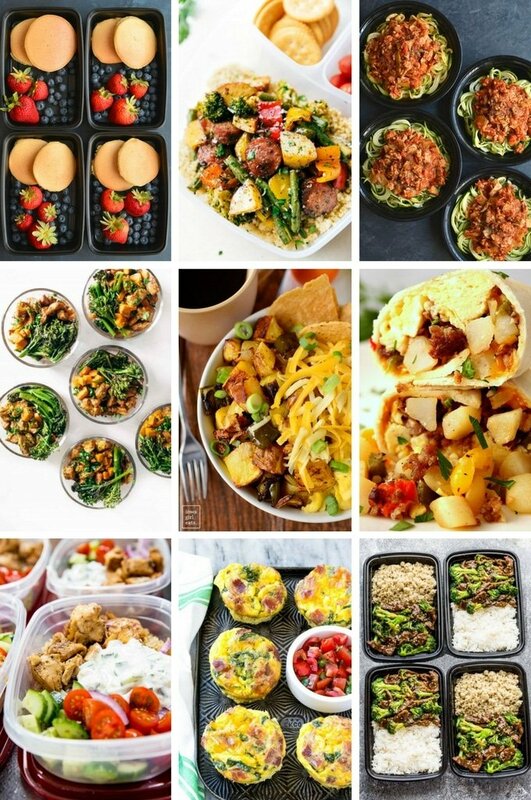 With these 36 easy meal prep recipes, you’ll be covered for breakfast, lunch and dinner. There’s everything from stir fries to salmon to pancakes, plenty of ideas to keep you on track to meet your health goals! Meal prep recipes are the talk of the town when it comes to being healthy and proactive with your foods. Watching what you eat doesn’t have to mean skimping on flavor and your favorite dishes. It may simply mean cutting back to smaller portions. Meal prepping can help with that and also take the guessing game out of what to make for lunch or dinner on a whim. You’re less likely to make a stop at a fast food joint if you have a meal already waiting for you! 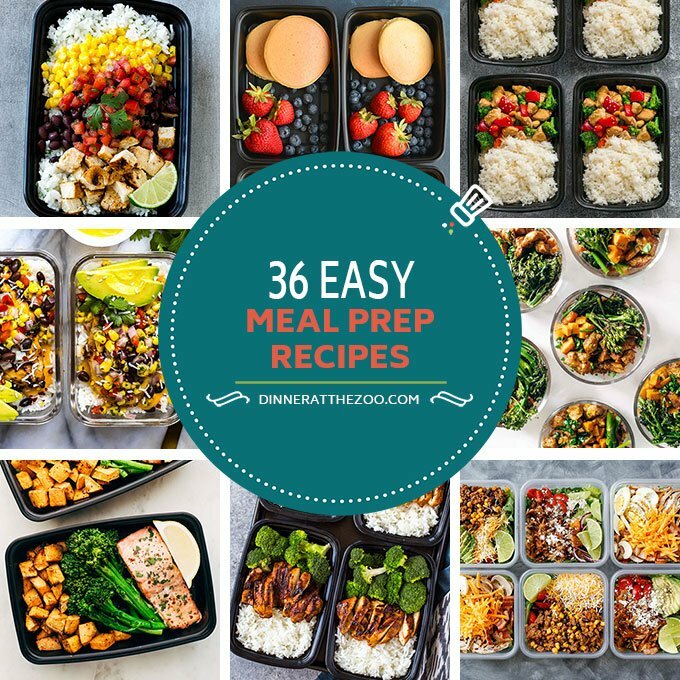 With these 36 easy meal prep recipes I have gathered for you, you are set for lunch, dinner, and some breakfasts for weeks to come. Another idea for prepping ahead is to plan freezer meals. 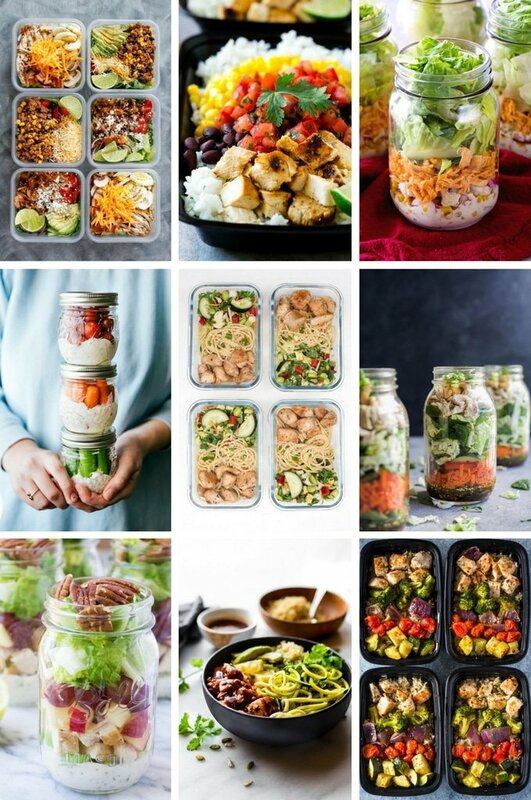 These are great to make one time, meal prep them for later use and pull one out at a time when you are ready for it. 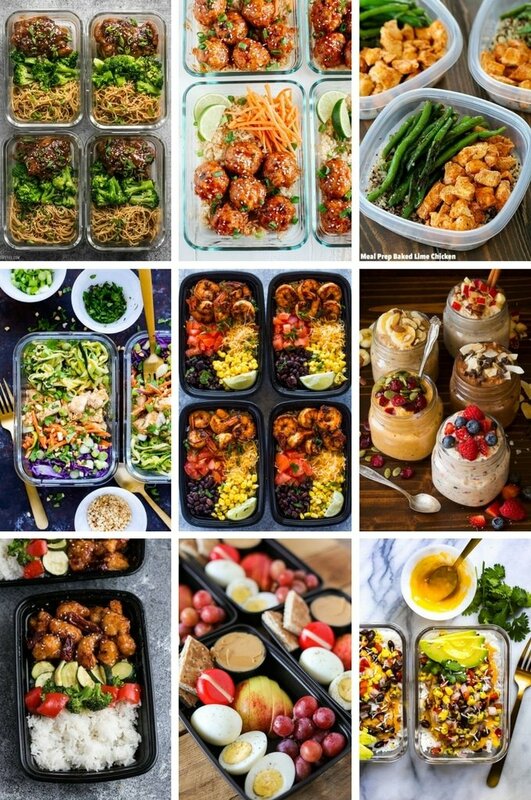 The easiest way to eating healthier is to plan in advance; with all these great meal prep recipes you’ll never get bored! What does it mean to meal prep? Meal prep is a once or twice a week large batch preparation of meals to last for 4-5 days. 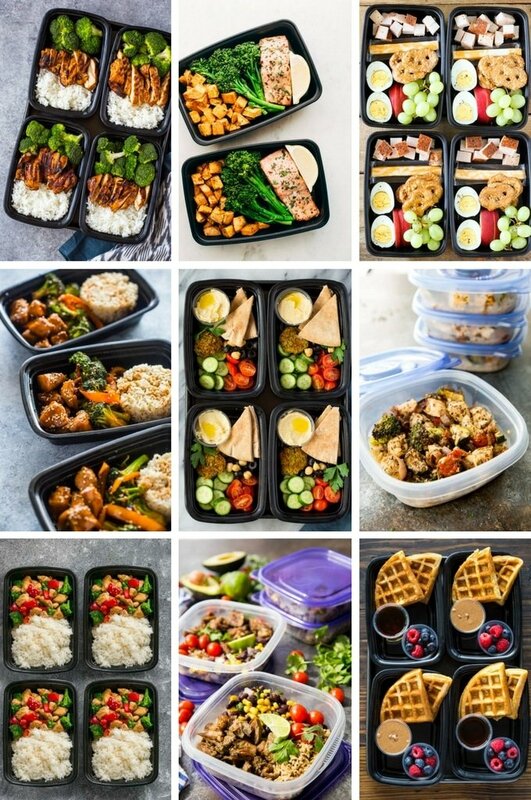 Meal prep is a great way to save time because you only cook a few times a week as opposed to cooking every single day. It’s also a great way to eat healthier – you’ll be a lot less likely to hit the fast food drive through if you have a meal ready to go in the fridge. You’ll also save money because cooking in bulk tends to be cheaper, and it’s way less expensive than going to a restaurant for lunch. I like to use reusable plastic containers as shown in the photos. They’re lightweight, inexpensive and hold plenty of food. I purchase these meal prep containers on Amazon. I also like to use the square plastic tupperware style containers that are sold in most grocery stores near the plastic bags and plastic wrap. I typically plan on making meals for 3-4 days during my meal prep sessions, depending upon the protein I’m using. If I’m using seafood, I never go more than 3 days, and sometimes just do 2 day’s worth. For chicken and beef, I prep for 3-4 days at a time. I keep certain components like sauces separate until I’m ready to eat so that the food doesn’t get soggy in the fridge. Can you freeze meal prep recipes? Some meal prep recipes will freeze better than others. Proteins like chicken, turkey and beef will hold up well to freezing. Typically starches like pasta do not hold up well in the freezer as they’ll be mushy when thawed. Rice and potatoes are great candidates for the freezer. Many vegetables can be frozen, but veggies with a high water content, such as zucchini and lettuce, do not freeze well. The first step to making these burrito bowls is marinating your chicken. The chicken gets marinated in a mixture of lime juice, olive oil and seasonings, then grilled to perfection. If you don’t want to fire up the grill, you can cook this chicken inside on a grill pan or in a regular skillet. The chicken is combined with cilantro lime rice, black beans, corn and fresh salsa to make an amazing meal that tastes like it came from a restaurant. These meal prep burrito bowls are highly customizable. You can add more toppings like cheese, shredded lettuce, sour cream or guacamole right before serving. You can also swap out the rice for quinoa or substitute brown rice instead of white rice. Sometimes I also add sauteed veggies like peppers and onions. The sky is the limit! 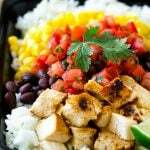 These meal prep chicken burrito bowls are filled with grilled marinated chicken, cilantro lime rice, black beans and fresh salsa. It's an easy and healthy meal prep recipe idea that's quick to assemble and tastes delicious! To prepare the marinade, pour the lime juice, olive oil and water into a large resealable bag. Add the garlic, honey, salt, cumin, smoked paprika, onion powder and chili powder. Divide the rice between 4 meal prep containers. Arrange the chicken, beans, corn and salsa on top. Cover and store in the refrigerator until ready to heat and serve. Iit looks so yummy! I love the step-by-step instructions, making it an easy recipe to follow! making this tomorrow-do you heat the salsa or add after reheating your meal? I usually add the salsa at the end after the meal is heated! Hi decided to try meal prepping for me and my husband on Sunday to help with weight loss. It’s just so convenient to stop at a drive-through all the time because we have such busy lives. Anyhow if I made this on a Sunday do you think it would be good in the freezer or should this only be refrigerated? I think you could freeze it although the rice would be a little softer after thawing! How do you make the rice? To cook rice, boil 1 1/2 cups of water and add 1 cup white rice and 1 teaspoon salt. Turn the heat down to low and cover the pot. Simmer for 15 minutes, then serve. Just made this! It’s delicious! Is the listed nutrition for one serving? Yes it is! That being said, it’s hard to calculate exactly how much marinade the chicken absorbs, so I’d say the calories listed are most likely an over estimate. I completely agree, the meal prep containers shown in my recipe are reusable! I tried this exactly how it tells you to and it came out amazing ! I made my own pico de gallo and once it is all mixed it tasted just like chipotle. This was absolutely delicious and easy to do! Thank you so much! You always post the best looking recipes right after I come back from the grocery store. 🙄 Putting this on the menu for two weeks from now. The recipe does not call for chili powder but the instructions do-how much? I fixed the recipe, thank you so much for pointing that out! 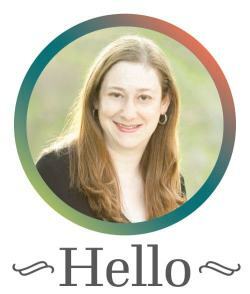 I have a question regarding the nutrition for the burrito bowl. It reads that there is 1g Fiber – is this true or a typo? I thought for sure that the black beans would pack a hearty fiber punch. I ran the numbers again and you’re right!!! Nutrition label has been updated.